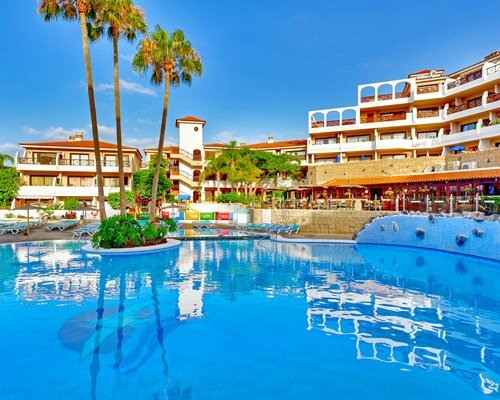 Timeshare at Royal Park Albatross is situated on the south side of the Island of Tenerife on the Golf Del Sur. 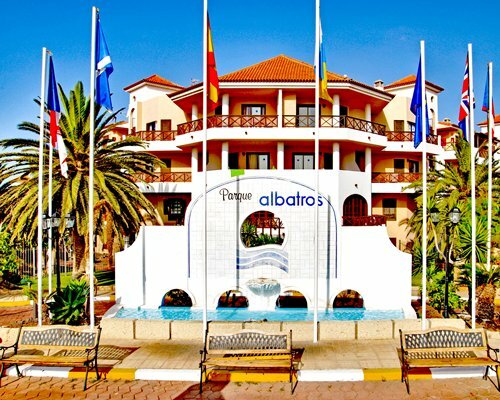 Royal Park Albatros resort is perfect for golfers who wish to play all year round on the 27-hole championship course. The Resort itself is surrounded by lovely lush gardens and very well designed swimming pools with cascading waterfalls and a kiddie’s pool. On-site you will find activities and entertainment for all the family a children’s play area, restaurant, and a lively poolside bar. Car rental is available on request and a laundry service.